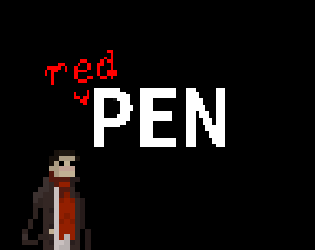 This is an RPG about a writer who sells their soul to the devil in exchange for extraordinary writing abilities. There are 5 chapters planned. This game is currently in development. If you want to spoil yourself you can check out some of the planned plot points at github. It should be noted there are some things planned like some enemies expanding upon the core gameplay mechanic that do not appear in that document. You'll just have to wait and see!